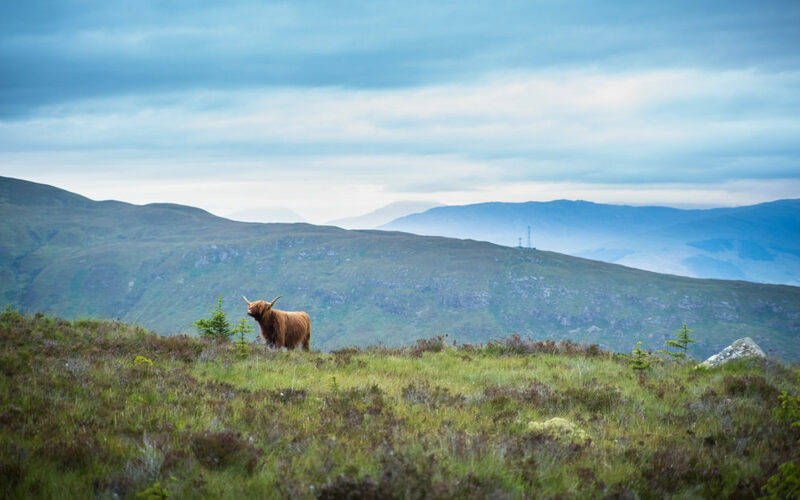 I have dreamed of adventuring in the Scottish Highlands since I read the work of Sir Walter Scott and Robert Burns in 9th grade. Something about the craggy, mist-shrouded peaks and boggy moors appealed to me. Plus, I’ve been working on my taste for whisky for the last couple years. 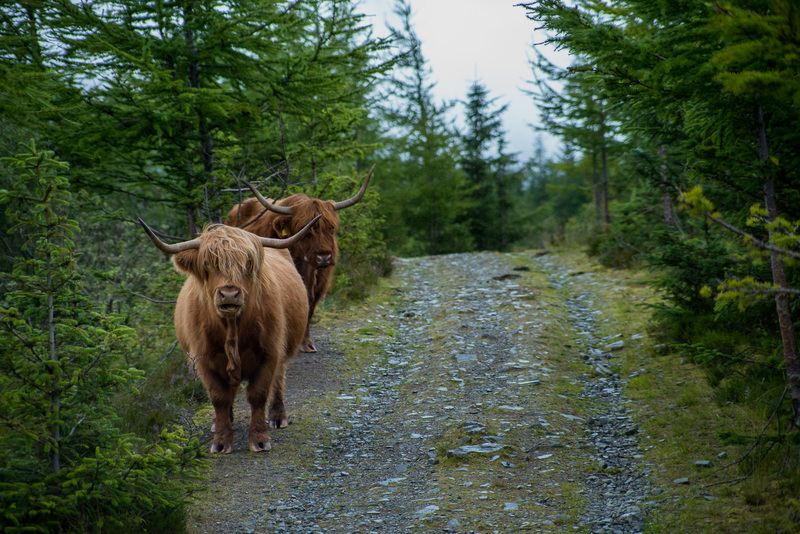 So when Ben and I found ourselves in southern England for a month, the Highlands were just a train ride away…too close to pass up. Late one July evening, we boarded a train in London, and the adventure began. Night trains always sounded romantic to me…before I experienced them in Thailand and Vietnam. There was nothing actually bad about those trains, but sharing close quarters with strangers overnight is never that comfortable. On the Caledonian Sleeper, which runs between London and several destinations in Scotland, each couple gets their own compartment. And the dining car is classy–Ben sipped on a 12 year Glenlivet single malt scotch as the train pulled out of Euston Station at 11 pm. 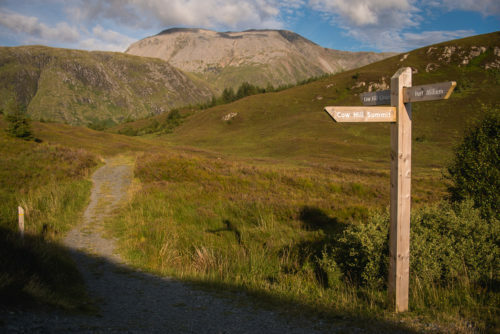 Laid-back, outdoorsy Fort William sits at the base of Britain’s highest peak, Ben Nevis (4,409 feet tall). The pedestrian-friendly main street is dotted with pubs and outdoor stores. The dog-watching is just as good as the people-watching: lots of Scotties and Westies—so cute. After lunch, we checked into our bed-and-breakfast, where our bedroom window looked out over Loch Linnhe, a “sea loch” (similar to a fjord) that stretches from Fort William south to the sea. 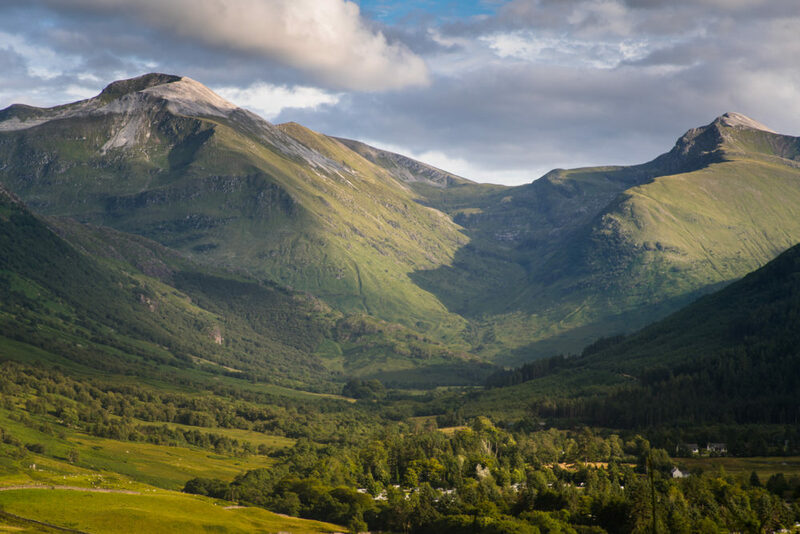 A sunny day in the Highlands is truly something to treasure. So as the clouds cleared on our first day in town, we set off on a hike around Cow Hill on the edge of town. Toadstools dotted the mossy earth and huge pines towered overhead. As we came back around the hill, golden sun rays were streaming across Loch Linnhe and the surrounding valleys. The next morning, Ben woke up before dawn and went back to Cow Hill, this time to climb to the summit. 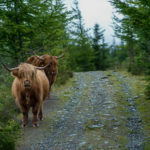 Coincidentally, he met a few of its namesake residents—HIGHLAND COWS, one of my all-time favorite animals. They are so wonderfully fluffy, I just want to hug them all. Unfortunately, I slept in and missed them…but now we have a convenient excuse to go back! From Fort William, we took the most beautiful train ride of our lives over the West Highlands to Mallaig on the coast. The highlight of the journey was the Glenfinnan Viaduct, instantly recognizable from Harry Potter. Steam train on the Glenfinnan Viaduct. Photo by Nicolas17. From Mallaig, we hopped on board a ferry for the short ride across to the Isle of Skye. 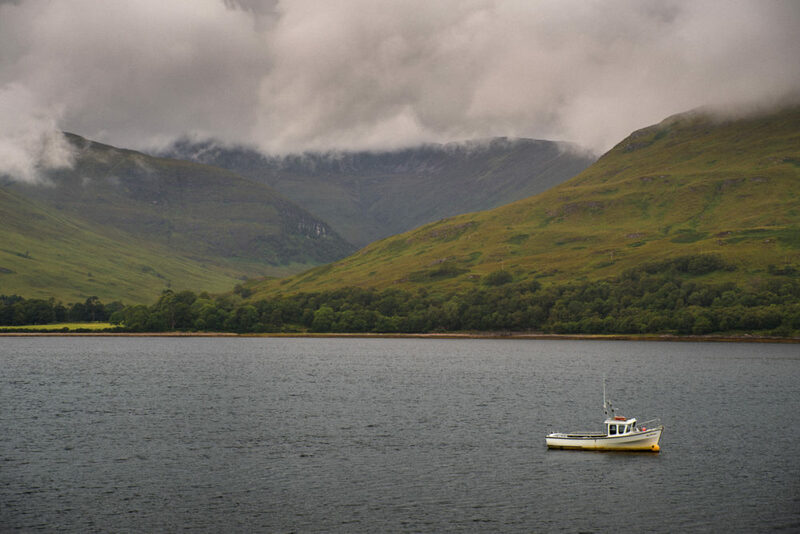 I could write an entire post about Skye—I’m still dreaming about it a year after we left. We rented a car and spent most of our time on the island just exploring. 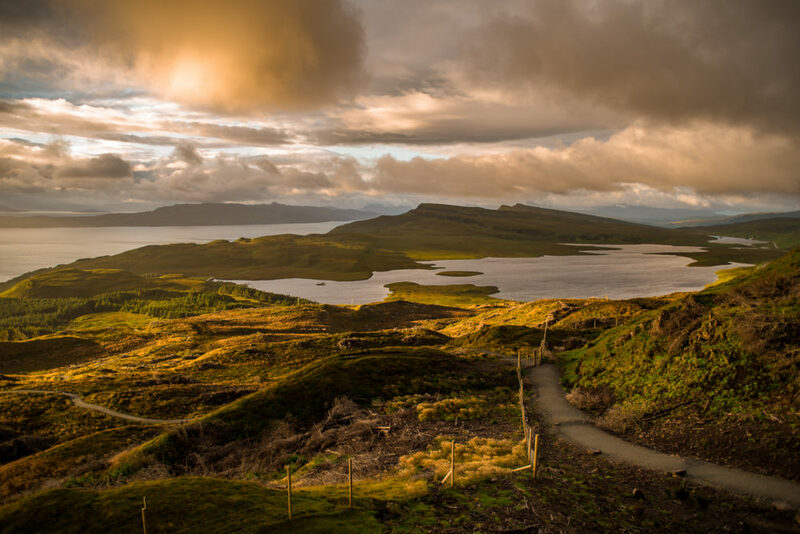 Driving is an adventure on Skye. The roads are one lane, for the most part, with pull-outs where you can let oncoming traffic pass by. It’s a testament to how isolated this place still is, despite its growing popularity, that one-lane roads are actually sufficient.